Welcome to the seventh installment of our Journey to Biblical Counseling interviews with various pastors, teachers, trainers, authors, and leaders in the biblical counseling movement. What led them to biblical counseling? What were some of the influences the Lord used in their journey? These are just a few of the questions they answer. Our special guest today is Randy Patten. Randy is the Executive Director of NANC, a position he has served in since 1997. Randy, what is your current involvement in biblical counseling? I am the Executive Director of the National Association of Nouthetic Counselors, commonly known as NANC (now ACBC). In addition to my general oversight responsibilities, I teach at counseling and discipleship training events, speak at fifteen conferences per year, including our annual conference every October. I also supervise men and women pursuing counselor certification and work directly with men who are candidates for becoming a Fellow in NANC. My position will change on October 1st when Heath Lambert becomes the new Executive Director. Biblical counseling is ministering the Word of God to hurting people in such a way that it helps them grow and change to become more of what God wants them to be. It is the private ministry of the Word compared to its public teaching. There has not been much change in that time frame; however, I think it is much sharper than what it was 20-30 years ago. My answer to your previous question is essentially what I have always believed. I had been a pastor for two years when it became apparent that, while I desired to help people who were hurting, I was not very effective at helping them apply God’s Word to their situations and needs. That led me to take my first course in biblical counseling, which is where—for the first time—I saw someone take the sword of the Spirit out of the sheath and use it to help someone with the problems of life and living. It was this desire to be a faithful pastor coupled with my inability that led to my pursuit of training back in 1976. 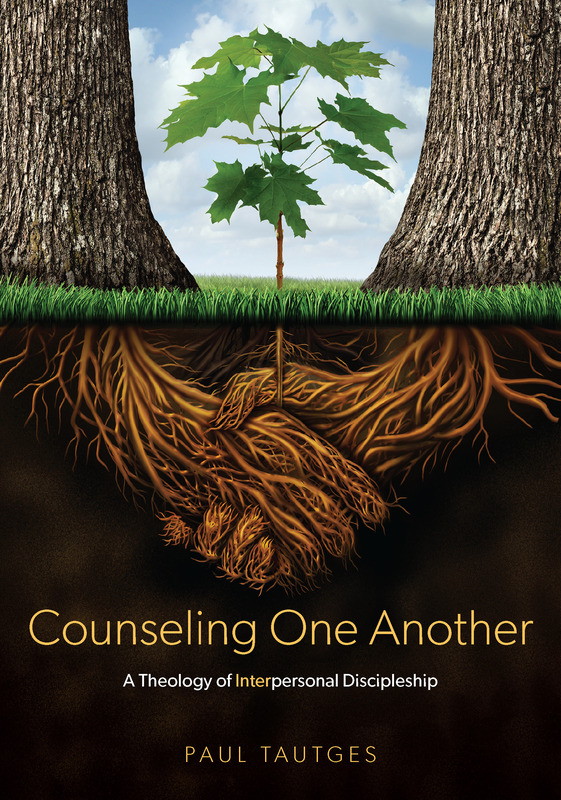 How do you view the relationship of biblical counseling to the local church? I think they are closely related. I like the statement, “Churches ought not to start counseling ministries; they ought to be counseling ministries.” All that a church does ought to be designed to teach people how to think and act biblically in relation to the challenges of living in a sin-cursed world. Is biblical counseling for every believer? Why or why not? Yes, I think biblical counseling is for every believer because we all give advice, i.e. counsel, to others, though not every believer will do what we might call formal counseling. It’s like not every believer sings on the worship team or is part of the budget committee. People are gifted differently. But if we are talking about small “c” counseling then, I believe, it is for everyone. If you are a parent, spouse, or friend then the advice that you give to others about how to think and act ought to be biblical, which grows out of the historical, grammatical, and contextual understanding of the Scriptures. I would like to see greater thoughtfulness, respect, and cooperation among leaders in the biblical counseling movement. I think the Biblical Counseling Coalition has helped us to get to a much better place than we were 5-6 years ago, but there is still work to be done. If someone wants to be equipped to better serve the Lord through the ministry of counseling, what do you suggest should be their first few steps? First, I encourage them to attend a basic course in biblical counseling conducted by ACBC or one of our 47 certified training centers across the United States. Second, I would encourage them to buy and carefully read a good book on biblical counseling. Christ-Centered Biblical Counseling (40 contributors), The Christian Counselor’s Manual (Jay Adams), or Instruments in the Redeemer’s Hands (Paul Tripp) are good places to begin. Randy, do you have any other thoughts on the ministry of counseling that will benefit our readers? These are wonderful days to be involved in biblical counseling. I am humbled and privileged to be able to do what I do in life. Thanks, Bob. You are an example to us all in the BCC.